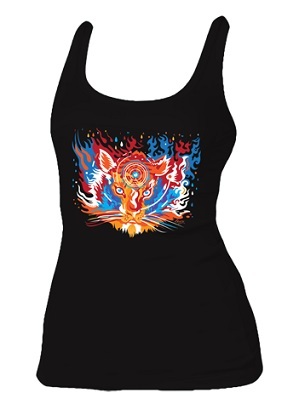 This new women's tank top has very psychedelic tiger design. It's 4 oz. Sheer Rib Tank, 98% combed ringspun cotton, 2% spandex sheer mini rib. A flattering neckline and cut, Longer body length and slim fit, and 1" wide straps make this a must have!